Crust adapted from the Oh She Glows cookbook. 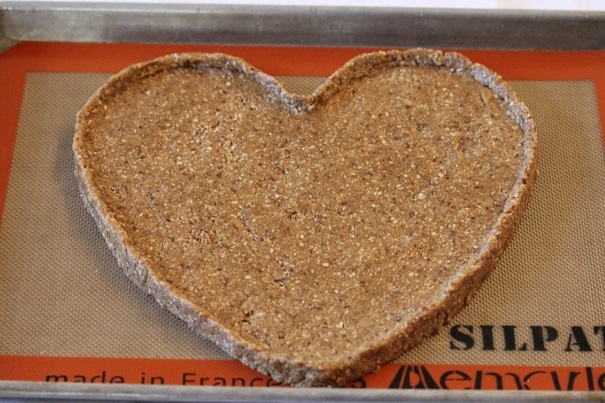 In a small bowl, mix together the flaxseed and 3 tablespoons of water, and set aside to thicken for five minutes. Beat vegan butter and almond butter in a mixing bowl fitted with a paddle attachment. Add sugars and beat for one minute. Beat in the flaxseed and vanilla until combined. Then beat in baking soda, baking powder salt, oat flour and almond meal, one at a time. The dough will be sticky. Bake for 15 minutes. Allow crust to cool before putting other ingredients on dough. Mix acai and coconut cream together and set aside. 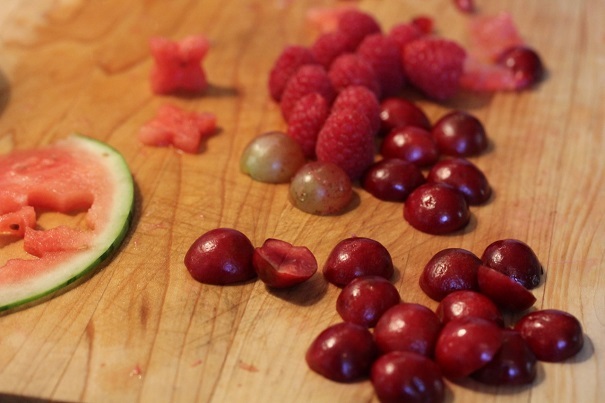 pink grapefruit, cherries, red raspberries, watermelon, pomegranate seeds and red grapes. When all the fruit has been cup up and ready to be placed, spread the acai sauce across the top of the cookie crust. 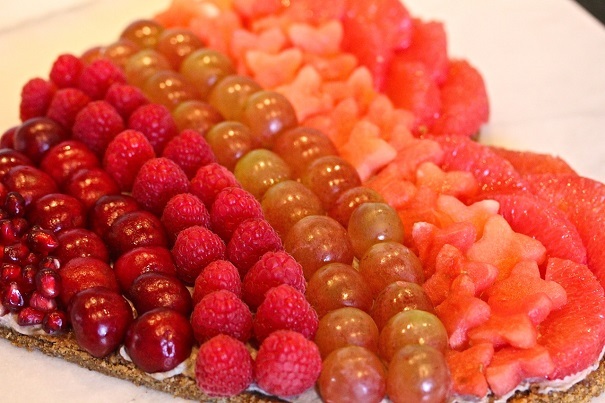 Layer fruits in any design and serve.